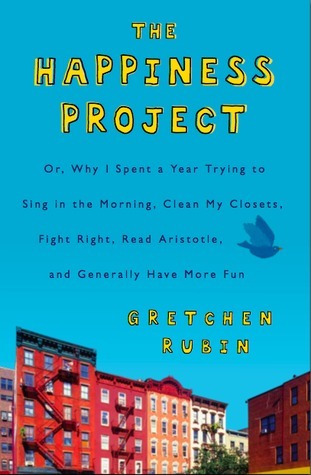 Description: Gretchen Rubin had an epiphany on the bus one morning that although her life was great she wasn't as happy as she should be. She spent a year trying to change that and this book is the result. My Impression: Despite the 5 star rating I actually have mixed feelings about this book. To start with it wasn't what I was expecting. The back says it is a memoir/self-help. I was really expecting more of a memoir and this book was firmly in the self-help square. Also, I really didn't like Gretchen or her husband. These are not people I would want to go to coffee with or chat with during kid activities. I've met a few people that Gretchen reminds me of and I tend to do my best to avoid them. That being said when I put all that aside and focused on what the book was actually saying the impact in my life was huge. There was nothing mind blowing and many of her discoveries I'd already figured out about myself (in particular the living in an atmosphere of growth). However, this format really gave my husband and myself a foundation to really start talking about what we could change in our own lives to enjoy it more and not be buried under the endless tasks of home ownership and child responsibilities. The chapters that really spoke the most to me were the chapters on fun and money. While I don't intend to reread this book I did take notes on the points that seemed most important to me and I do plan to read her next book. I've also noticed that by just thinking about how to be happier and talking about how to be happier I actually am happier and more enthusiastic about what's going on around me. So even though the actual reading experience was more text book than escape and even though Gretchen herself annoyed me quite a bit the fact that this book made me feel happier and lighter earns it 5 stars from me. Description: This book takes place during World War 1 and centers around Anne's youngest daughter, Rilla. The books sees the 3 Blythe sons and their childhood friends go off to war and deals with the effects of that. As well are new home place challenges like starting Red Cross Leagues, adopting a war baby and just the endless waiting and agony of having loved ones at the front. My Impression: I had a really hard time getting started on this book. 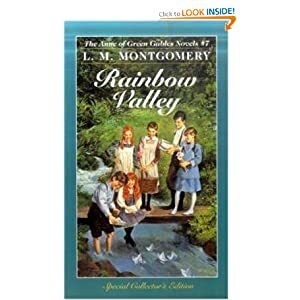 I'd read it before and knew what was going to happen and watching it happen to the children of Rainbow Valley wasn't something I really looked forward too. To be honest, I cried through most of the book. Not just teared up but full out cried to the point I have a headache today. This is by far the darkest book of the series but in many many ways it is the most relevant interesting book. There is much about life on the homefront for those left behind that you don't really read much about in history. This is the war history that intrigues me the most and the history that I most identify with and Montgomery does a good job portraying the mix of joy, tedium and anguish. Anne is for the most part a paper character in the background, even Gilbert is fleshed out a bit more than she is. That used to be a flaw in my eyes but with after reading it again I'm not sure the book would've been bearable if it had been through Anne's eyes. Reading her thoughts and feelings as she sends her sons off to war and watches her daughters' worry and anguish over there sweethearts would've been just about unreadable. In my opinion this is an amazing book and a fairly realistic peak into life of those left behind during a war but do not go into it expecting a light and happy Anne book. There is some romance but it is very secondary and the male character is in Europe for most of the story. Would I Read More of this Series/Author? : Yes, of course. I'm looking forward to reading a lighter happier Montgomery book next. Would I Recommend this Book? : Yes definitely though I'm not sure I'll be rereading it anytime soon. Description: Shortly after his arrival back home after 20 years James Lessiter is found murdered. The list of suspects is huge - the former fiance who is now the sole heir to his fortune, the widow who he is threatening to evict and prosecute for theft, the abandoned husband whose wife ran off with Lessiter years before, and the housekeeper with her criminal son. Luckily, Miss Silver happens to be staying with a friend in the area and manages to get things under control. My Impression: The Miss Silver series is one of my very favorite mystery series and this entry is no exception. 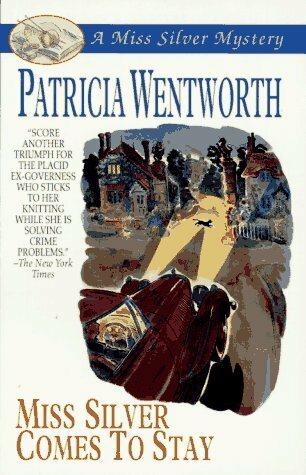 After reading a British mystery I truly disliked I had to go back to my favorites. While the series is pretty light weight - lighter than Christie even - the mystery is always well done and the characters (with the general exception of the victim) are always likable. This isn't my absolute favorite of the series but it's still a fun and satisfying read. Would I Recommend this Book? : I would definitely recommend this author but maybe not this exact book to start off with. Description: For her first job after the death of her business partner, Private Investigator Cordelia Gray, is hired to find out why wealthy Sir Ronald Callendar's son Mark committed suicide. As the investigation progresses Cordelia becomes more emotionally invested in Mark and begins to wonder - what if it wasn't suicide at all? My Impression: P.D. 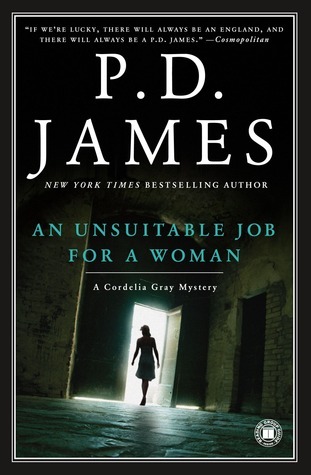 James is one of the great mystery authors - up there with Christie and Sayers - but try as I might I just don't like her books. I gave this one a try because I thought a new detective might be more enjoyable and it was short so I wouldn't have to slog through 500 pages to decide I didn't like it. Instead I ended up slogging through 250 pages spending most of that time somewhat perplexed to decide I didn't like it. The level of connection between Cordelia and Mark passes between odd to morbid. She is staying in the cottage that he lived and and wearing his clothes, including the belt that he hanged himself or was hanged with. I figured out the twist about 50 pages before it even came up in the plot and when a big villain reveal happened it took me way too long to remember who that person was. There was very little to recommend with this book, I thought the characters were unlikable and boring and the mystery was convoluted. It was impossible to believe that Sir Ronald would go out of his way to hire someone to figure out his son's death. After 250 pages I felt no more emotional attachment or level of interest to the characters and the story than I did at page 1. Would I Read More of this Series/Author? : I shouldn't but I probably will. I keep hoping I'll read one I like. Would I Recommend this Book? : Absolutely not. Description: A serial killer dressed as a priest is targeting 20 something blond women in Washington DC. To help catch the killer before the body count grows higher the mayor sends in psychiatrist Tess Court who happens to be a blond 20 something woman. The serial killer starts to focus on Tess as she and the lead detective start to develop a relationship. 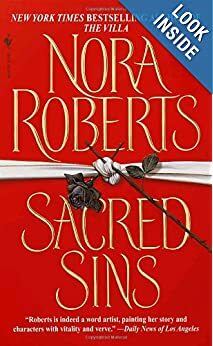 My Impression: This was one of the first Roberts books I read and definitely the only 1980s novel of hers that I enjoyed. I probably didn't enjoy this as much this time as I remember liking it last time. The crime part is pretty good with plenty of creepy details. I really loved Tess. She is smart, driven and has a sense of humor. She is aware of the need to detach from her patients but is frequently unable to do so. She is aware that she can come of as to cold or clinical but is afraid to really let her full emotions show. My primary problem with this book was Ben. I loved his partner but Ben was a jerk. He had a valid reason for being leery of her profession but his complete lack of respect for her as a person was pretty jarring. The fact that she held up okay at a crime scene was a complete turn off to him to the point he stopped calling her (a physical relationship had already started at this point) and began dating another woman. Towards the end of the book he actually says something along the lines of he may at some point see her profession as having value. To me this did not bode well for a long term relationship and I thought Tess deserved much better. Would I Read More of this Series/Author? : Definitely more by this author but probably not of this series. Description: 23 year old New Yorker, Meg Rittenhouse is at the end of her rope after a head injury leaves her unable to work. Luckily, distant and wealthy cousin Sylvia, swoops in and packs her off to to rural Pennsylvania Dutch country with the job of restoring one of Sylvia's homes. Despite her hopes that the peace and quiet of the country will help her hallucinations they seem to be back and even stronger and to make it worse Andy, caretaker and step-son to Sylvia, sees them too. My Impression: I've been in a serious reading slump so far this month and this is one of those books that always proves a quick read and jolts me out of my rut. 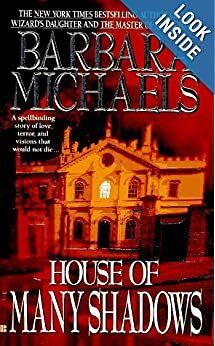 This is a fun read with history, creepy atmosphere and a little bit of romance. My only real problem with the book is there is an event that happens maybe 100 pages into the book and its never completely resolved. This happens in several of her books where something will happen that seems important or adds to mystery of the situation and then is never really explained. As usual Michaels doesn't disappoint and I would pay serious money to go exploring the attic that Meg spends quite a bit of time in. Would I Read More of this Series/Author? : Yes definitely! This is one of my favorite authors. 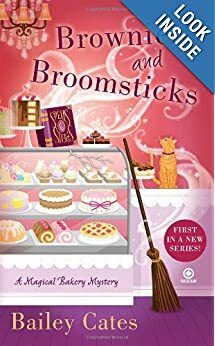 Description: Katie Lightfoot is dumped and unemployed so she moves to Savannah, Georgia to help her aunt and uncle open a bakery. Things go terribly wrong when an awful woman with a lot of influence is found murdered right outside right after an argument with Katie's Uncle Ben. To make things worse Ben is the prime and only suspect in the murder. Also, turns out Katie's aunt is a witch and so is Katie. Katie must settle in, get a business of the ground, keep her uncle from being framed for murder and figure out the whole witchcraft thing. My Impression: I like the setting and feel of this book. The food was talked about enough without it being a primer on how to bake things where someone happened to die. Katie is likable as our most of the other characters though I'm not too sold on the love triangle thing. It reminded me a little to much of early Janet Evanovich's with the straight laced cop (in this case firefighter) and mysterious rebel. I also liked that the police weren't total idiots and Katie generally had a decent reason for doing something stupid. It was light and fluffy and enjoyable but not something I thought about when I wasn't reading it. Would I Read More of this Series/Author? : Yes, this was fun enough that I'm interested to see where the series goes and how the characters develop. Would I Recommend this Book? : Probably not. While it was a fun read it wasn't a standout. Still behind on both goals but I'm definitely making progress. I have one more book in Montgomery's Anne series and than all I have left are stand alones and short story collections. Not nearly as set as last month. I want to try and read at least 1 book on the kindle and get at least 1 book from the library. Least Favorite book - The Rubber Band by Rex Stout. I really didn't enjoy this one. I didn't like the characters, the writing style or the mystery. I also didn't like Mary Poppins by P.L. Travers. This is one of the few books that I really think I like the movie way better than the book. Favorite Book - I'd have to say Christmas Eve at Friday Harbor by Lisa Kleypas. I read it in one sitting and can't wait to read the next books in the series. I also really enjoyed Forever and a Day by Jill Shalvis and the 2 Connolly books. Anne's House of Dreams is one of my favorites and brought me to tears a few times and Anne of the Island still has one of my favorite endings of all time. While not a favorite Miss Peregrine's Home for Peculiar Children by Ransom Riggs was one of the most unusual books I've ever read that was readable. I'm looking forward to the sequel to see where he takes this story. Description: The Blythe children are getting older and have found wonderful playmates in the Meredith children, the loved but somewhat neglected children of the minister. Adventures abound and new friends are made. My Impression: This is truly the story of the Blythe children. Anne shows up some but it is very infrequent and the stories are never about her. 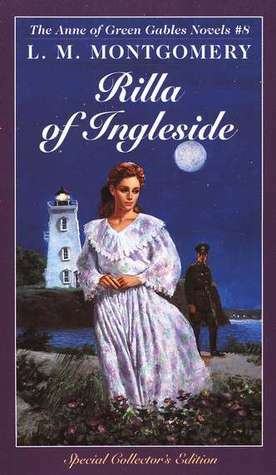 The children really come into their own in this book and are much more developed than they were in Anne of Ingleside. I love the Blythes and I love the Merediths but I never warmed to Mary Vance. This is definitely more of a character driven book versus a plot driven book but I think it is necessary to read this one before Rilla's book so that you really know who the children are. Would I Recommend this Book? : Yes but it's not my favorite of the series.